The weapons used in this period give a strong indication as to what went on. 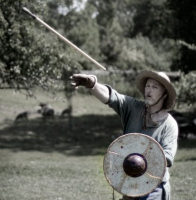 The Germanic round shield and the spear were the main weapons. 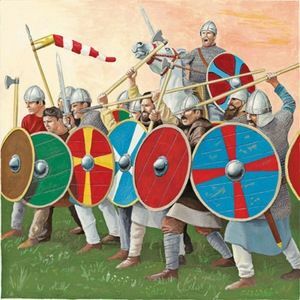 These are consistent with fighting in a phalanx; a broad shallow formation - the shield wall- where each man is supported by two neighbours as he faces the enemy and the front rank are supported by those behind. The shield was held up to ward-off missiles and the spear could reach out for careless opponents. Fast in finger-grip, and to fear not. A fighting man would find himself facing the enemy with a shield in his left hand, a spear in his right and with comrades on either side and behind him. 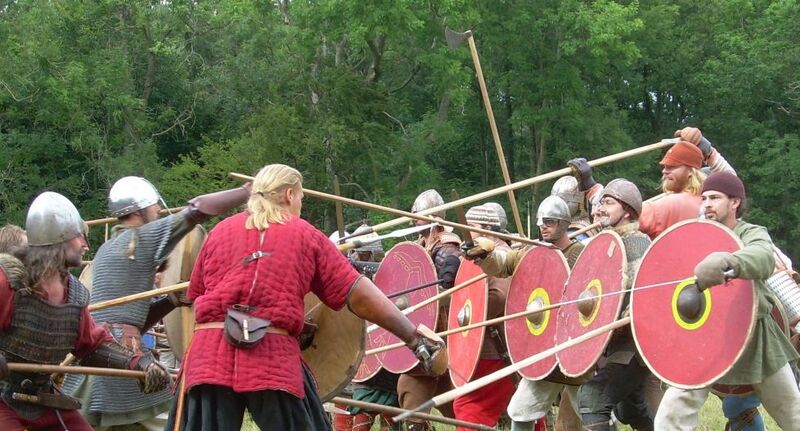 Some men could be armed with a long-hafted axe instead of a spear but these men probably stood in the second rank or were interspersed with the spearmen. 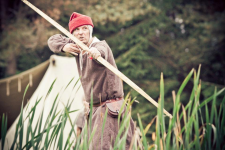 Archers and other missile throwers took station behind and among the shieldwall where they could spot for targets and duck for cover when necessary. The sword was used by those who could afford it and amongst the chaos of broken and breaking shieldwalls it would be murderously effective. 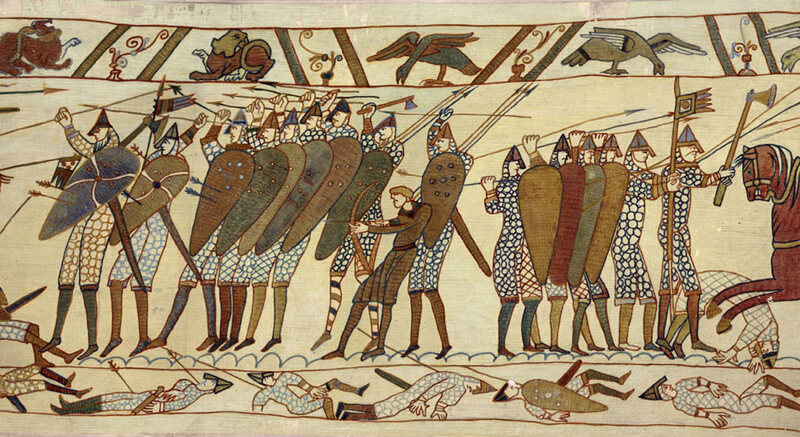 Those without a sword would have an axe or heavy knife to fall back on when their spear was thrown or broken. 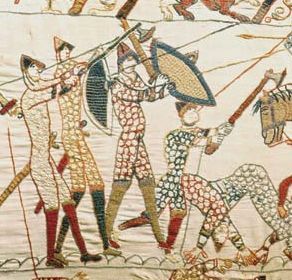 Similarly, men armed with long spears used in two hands could lurk behind the front gaining the protection of shields they could not themselves wield. Many warriors would have one weapon to throw in the opening stages of the combat. This could be a light spear/javelin or an axe or even a heavy club or stone.